The National Association of Estate Agents (NAEA) Housing Market Report for October 2016 shows a 'bounce back' in sales to First Time Buyers. Supply of homes on the market increased to the highest level since March 16. Sales averaged - 9 per branch. Properties for sale averaged - 43 per branch. Registered buyers per branch increased to 440. Landlords are faced with legislation changes proposed in the Autumn Statement bringing changes that will result in landlords having to bear the full brunt of letting agent fees. 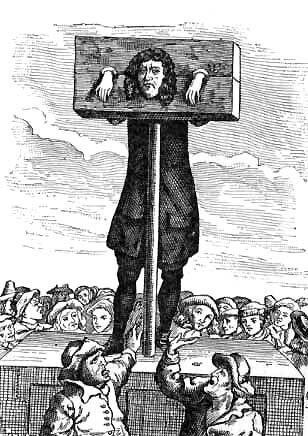 This follows from the Chancellors Philip Hammond's first Autumn statement 2016 in which the incoming Chancellor marked himself out as no friend of landlords and a hero of the tenanted classes. This follows a letting agent fee ban put in place in Scotland which were tightened in 2012. But can landlords avoid having to pay for these additional costs when they use a letting agent to let their property? What are the likely affects of the letting agent fee ban? 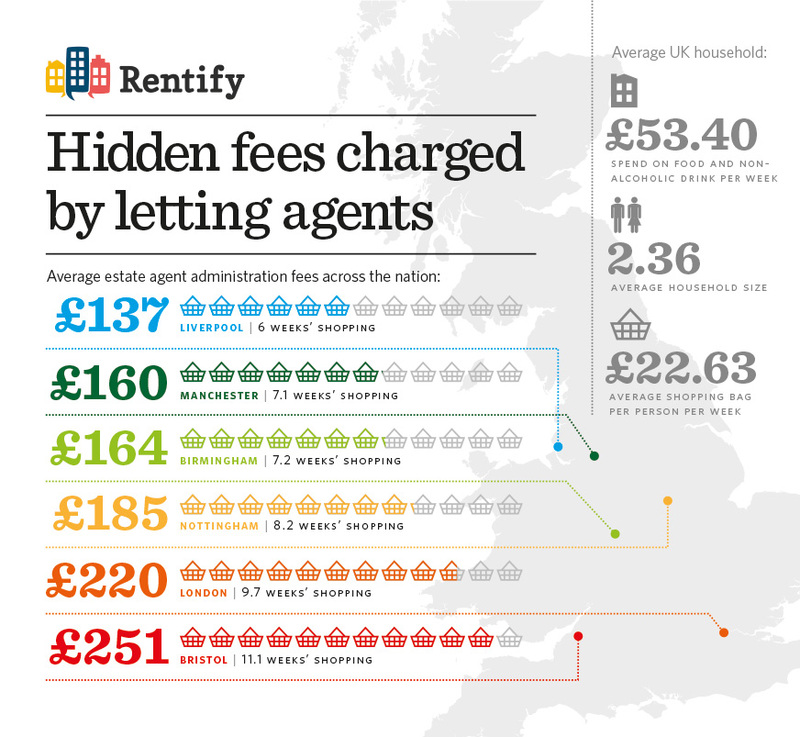 The reality is that letting agents still need to charge fees for many of the actions that they carry out in their duties. It will continue be an expense in administrative time and effort to register tenants for tenancies and to carry out the required checks for landlords to be happy that the tenants is a reasonable credit and letting risk. This means that many letting agents will just pass these charges on to the landlord or try to avoid doing the appropriate letting checks in the first place exposing landlords to additional risks of letting particularly if they inexperienced landlords unaware of the potential pitfalls. 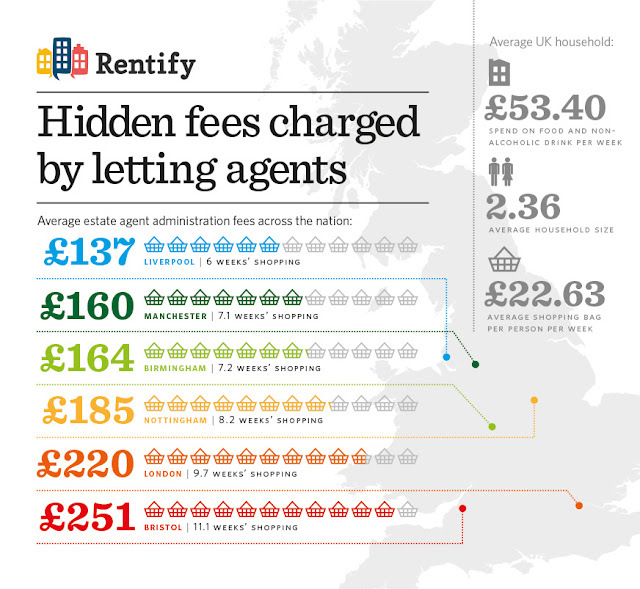 The additional costs as you can see about if these letting agent fees are passed on to a landlord could amount to many hundreds of pounds to a landlord for each letting so can letting agency fees be avoided? The reality is that all landlords can avoid letting agent fees simply by managing their own rental properties. It really is entirely possible not to use a letting agent at all. Now with online property marketing such as Lettingaproperty and similar marketing virtual letting agents and marketing websites a landlord can market their property to the whole world by getting their property on the likes of Rightmove and Zoopla giving them maximum marketing exposure. Then having secured their marketing leads an individual landlord is free to do all the checks and essential letting administration that the letting process requires. It's perfectly possible for a landlord to do the credit check on line for a few quid. We have told landlords how they can do the vetting of a tenant far more effectively than any letting agent and save a fortune in the process. Who needs a letting agent to prepare the inventory? Landlords can manage their property with our online software and avoid the fees that will now have to be paid to letting agents. This legislation could be a game changer for many landlords determined to avoid unecessary letting costs. Other landlords will just conclude that it is another necessary expense that they will try where possible to pass on to their tenants by raising the rent. The experience from Scotland where the introduction of similar restrictions has been that the added costs have not been translated into inflated rents. Philip Hammond has confirmed he will be banning letting agency fees for tenants. Expect one thing to happen as a result of this - letting agency fees for landlords to rise. Agents will look to recoup income by either increasing charges to landlords for letting a property or by increasing management fees, or a bit of both. The Government clearly feels the need to continue its re-balancing of the tenant / landlord wealth divide in the economy. One positive we might take, is the economy's reliance that residential property prices are maintained / propped up in the medium to long term. The house of cards appears to be getting its base stuck down with a glue gun. Landlords can of course avoid Letting Agent Fees altogether by DIY. This was posted yesterday, so therefore the deadline for registration is TODAY! The finalised PRA regulations for buy-to-let mortgages were published at the end of September and there are concerns amongst some in the industry about how the prescribed changes to underwriting standards are going to affect the market and how much more complex arranging finance for landlords will become. For shorter-term buy-to-let rates, the PRA has stipulated a minimum interest coverage ratio (ICR) of 125% and have a minimum stress test interest rate of 5.5%. Also, when assessing customer affordability, lenders are now expected to take account of the likely interest rate increases during the first five years of the mortgage contract. However, for fixed rate buy-to-let mortgages of five years or longer, these requirements do not apply and there are already some lenders, for example Newcastle Building Society, offering different rental calculations for five-year fixed rate products. The PRA has set 1st January 2017 as the deadline for lenders to implement these new measures for ICR tests, so over the next couple of months we can expect a raft of changes to lenders’ rental calculations. One of the common concerns raised is that landlords in certain areas of the country where rental yields are lower, for example London and the South East, will find it difficult to meet the new stress tests. It has also been suggested that as the overall yield for buy-to-let properties varies so greatly around the UK, we may see some lenders having geographical ICRs for different areas of the country, which will add another layer of complexity to the already challenging task of sourcing the most suitable buy-to-let mortgage for landlords. in a wide range of approaches by lenders when assessing customer affordability, which may affect the choice of products available to clients and further increase the complexity of lending criteria. With reduced buy-to-let tax relief coming into effect in 2017, lender’s may also offer different rental calculations depending on the client’s tax status, with higher rate tax payers being subject to more stringent affordability tests. Alongside the PRA’s expectation for ICRs and interest rate affordability stress tests, the underwriting policy also makes a special case for portfolio landlords, who are defined as having “four or more distinct mortgaged buy-to-let properties.” It is indicated that as lending to portfolio landlords is “inherently more complex”, lenders should take a specialist (presumably more lengthy and in-depth) underwriting approach to these borrowers. It is possible therefore, that we will begin to see a distinct split between lenders in the buy-to-let mortgage market, with large specialist lenders dealing with portfolio landlords on one side and lenders who opt to deal only with smaller landlords with 3 or less properties on the other side. Without doubt, the buy-to-let mortgage market will undergo significant change over the next 12 months and sourcing finance for landlords will become increasingly complex. The group of landlords lead by Mark Alexander of Property118 have put there lawsuit against the Bank of Ireland on hold. The case echoes their victory against the West Bromwich Building Society over raising the base rate on BTL tracker mortgages. The Bank of Ireland decided to raise the rate on their base rate trackers back in 2013 impacting on 13,500 mortgages. “The cost of taking the Bank of Ireland to court to challenge their understanding of law would be around £1m because we would have to make provisions for paying their legal fees if we were to fail." To minimise their financial risk, the landlord crowdfunded group are now looking at taking the solicitors who advised the Bank of Ireland to court. Hoping this way, if they win, the number and the value of these claims will force the solicitors to pay/cover for the legal action against the Bank of Ireland. This month’s findings paint a really positive picture for renters. Although demand is rising, we’ve seen this happen gradually over the course of the year, and would expect it to slow again in line with seasonal trends over the next few months. On the other hand, the supply of rental stock has risen astronomically, which suggest it’s not quite right that landlords are pulling out of the market as a result of Brexit. This is supported in our findings, which reveal the number of landlords selling their buy-to-let properties hasn’t changed since April, when three landlords were selling up per branch. The average first-time buyer now aged 33. “Overall, house prices continue to hold up well. This is the smallest drop in average November asking prices since we saw the same figure of -1.1% in November 2011. Furthermore, the average time to sell of 65 days is one day quicker than at this time last year. However, price resilience is not good news for cash-strapped aspiring first-time buyers, and in spite of the more subdued time of year the smaller properties that they typically target have increased in price this month, the only market sector to show an increase. Compared to 12 months ago the price of newly-marketed properties with two bedrooms or fewer is up by over 8%, twice the rate of the sectors containing properties with three bedrooms or more. In the sprint to get onto the housing ladder, wage inflation to help meet lender affordability ratios and to save for the larger deposits required is being comprehensively outrun by price increases. Lincolnshire landlords are invited to learn about minimum property standards and changes in legislation at a free event at the Sleaford Council Chamber in the North Kesteven Council buildings. The free event is to be held on Monday 12th December. The drop in event runs between 1-4pm, with welcome presentations given at 1pm and again at 2.30pm. email - safeashouses@n-kesteven.gov.uk or call 01529 414155. A Birmingham landlord has been fined £2,000 for intimidating his tenant. Zahid Khan, aged 30, breached Section 1(3A) of the Protection from Eviction Act 1977 after threatening to change the locks of his rental property if his tenants failed to leave. Khan also broke laws governing HMO Management Regulations. The House in Multiple Occupation was unlicensed, in a poor state of repair, and had inadequate fire safety precautions. Mr Khan was handed 150 hours of community service and ordered to pay a fine of £2,000, along with costs of £5,070.93. The UK House Price Index for September 2016 has been published by the Office of National Statistics. So freshers week is well and truly over and the dust is just settling for many student landlords. I was walking down Ecclesall Road in Sheffield very close to both Sheffield University and Sheffield Hallam University and couldn't help notice the numbers of student rental properties The area like many around our universities in towns and cities up and down the country has been taken oven by students and student landlords which even now has it's own name as evidenced by the fact that Studentification has it's own entry on Wikepedia. Is this a good thing? Probably not if you are a long standing member of the local community looking for a quiet life. However, things change. Areas change. Is it something that councils, politicians should interfere with? The market has spoken and for many people who own properties in these areas they have seen the value of their properties rise as student landlords compete to acquire valuable assets in areas hotly demanded by student landlords and tenants. Studentification is often synonymous with HMO properties and the challenge of managing a student rental property is very similar to that of managing and investing in a HMO property. Does investing in student property still pay? Student accommodation does make good investments still even in this mature property investment market and if you are considering setting yourself up as a student landlord then you need to read all about how to become a student landlord and landlords thinking of letting to students should read this.